Are you heading to Las Vegas soon? 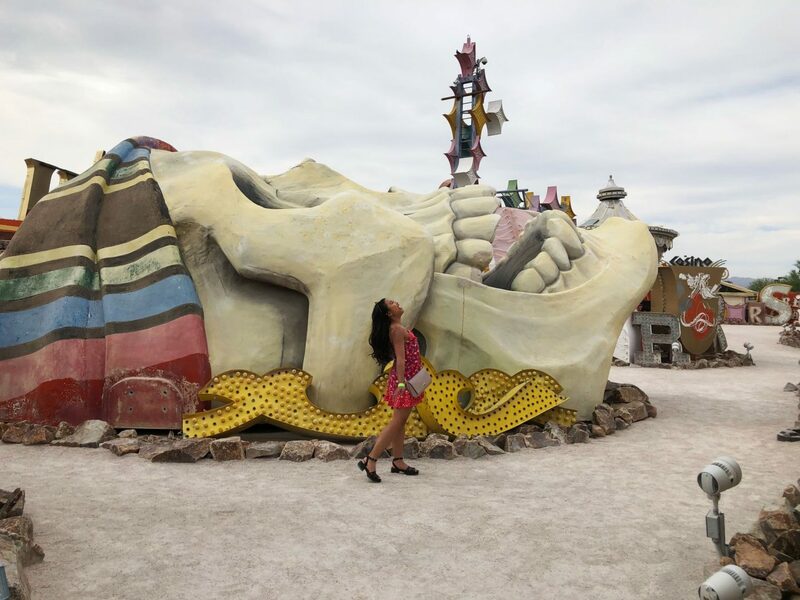 Are you thinking about visiting the Neon Museum Las Vegas? With only a few hours before our flight, Brandon and I decided to stop by the Neon Museum! This was a fun spur of the moment decision and I’m so glad we got to see it. 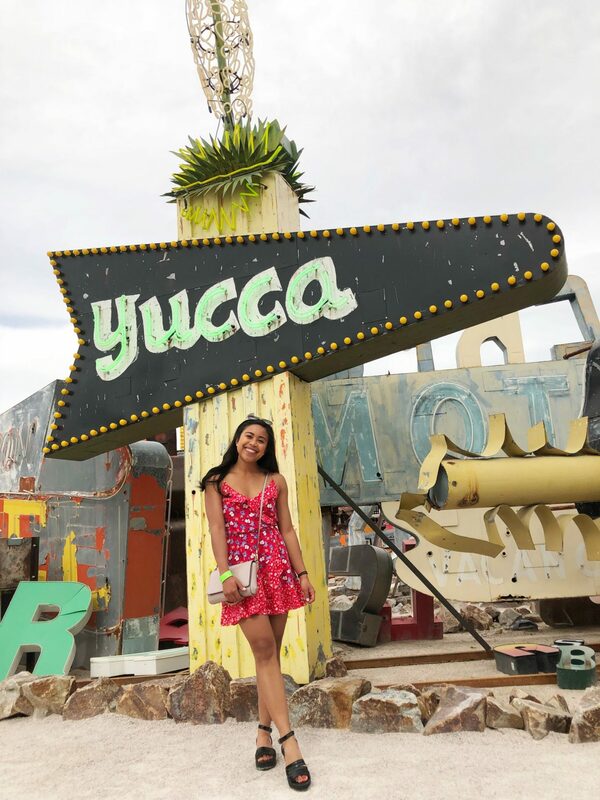 I had seen the Neon Museum through Instagram before so I was curious to see what the museum was like in real life. 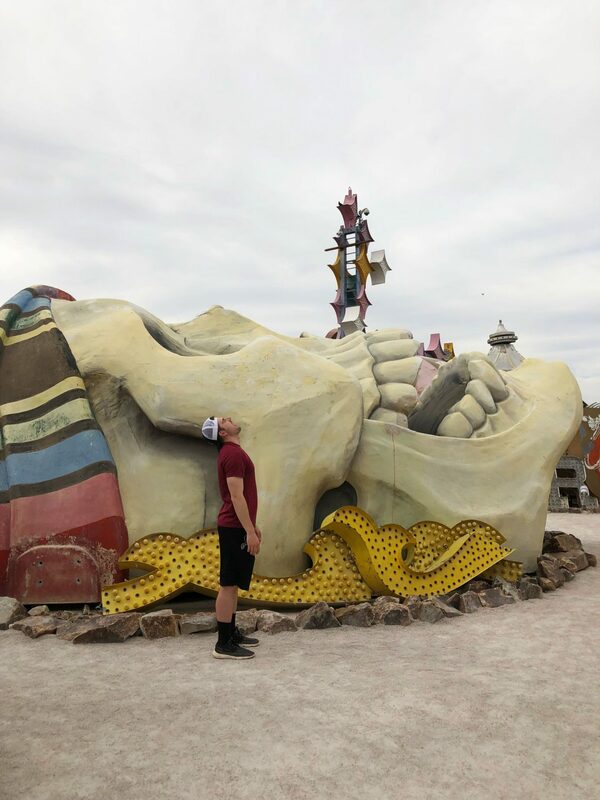 In the spirit of my Behind the Scenes series, I’m sharing Behind the Scenes of the Neon Museum. 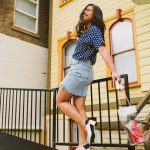 In April, I shared Behind the Scenes of that Picture Perfect Instagram Photo and 7 Things You Don’t See on Instagram about Coachella. In May, I shared Behind the Scenes of that Museum of Ice Cream Instagram Post. 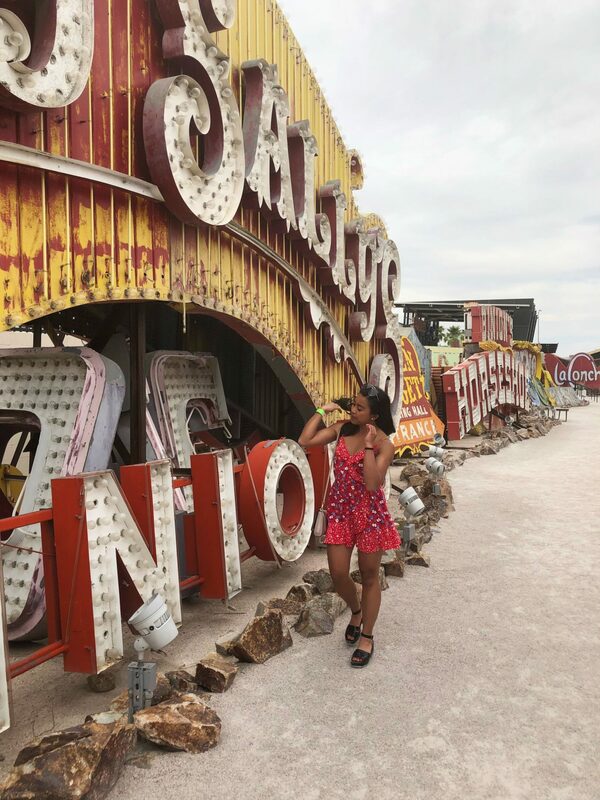 So I’m excited to share with you a new behind the scenes blog post this month about visiting the Neon Museum. 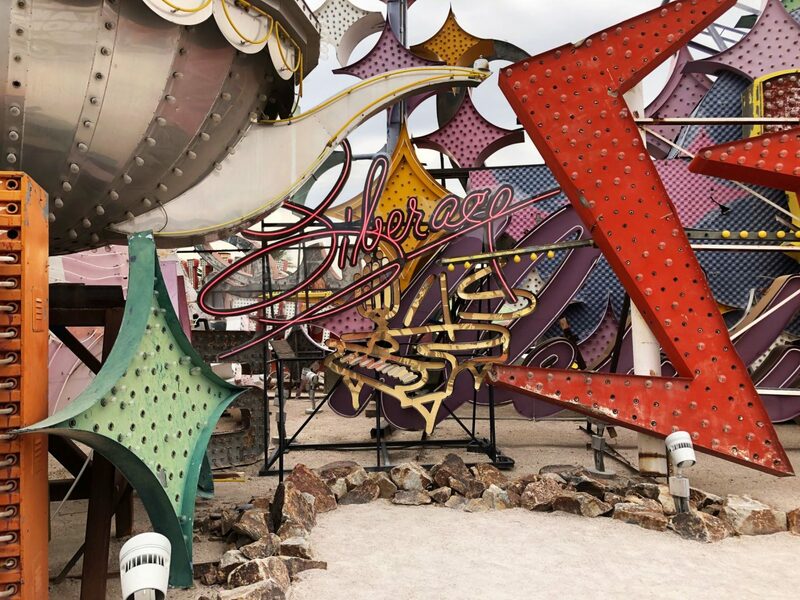 Before we jump in, what is the Neon Museum Las Vegas? 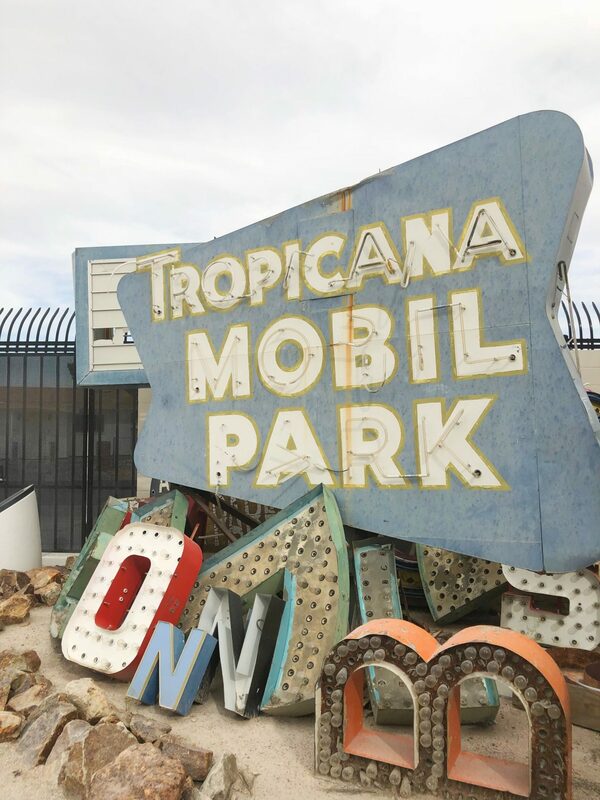 The Neon Museum Boneyard opened in 2012 north of the Las Vegas strip. 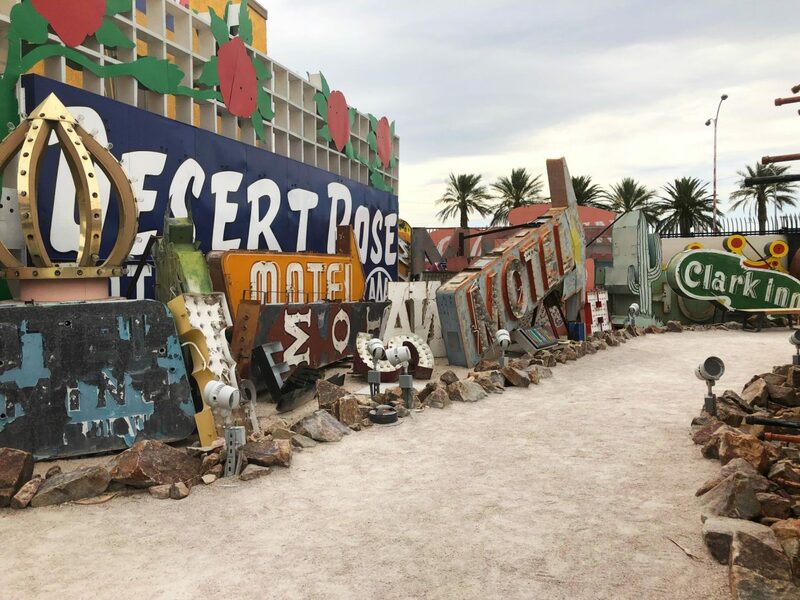 The Boneyard (the exhibition area), features more than 200 signs that were previously displayed all over Las Vegas. Each sign is a piece of history. 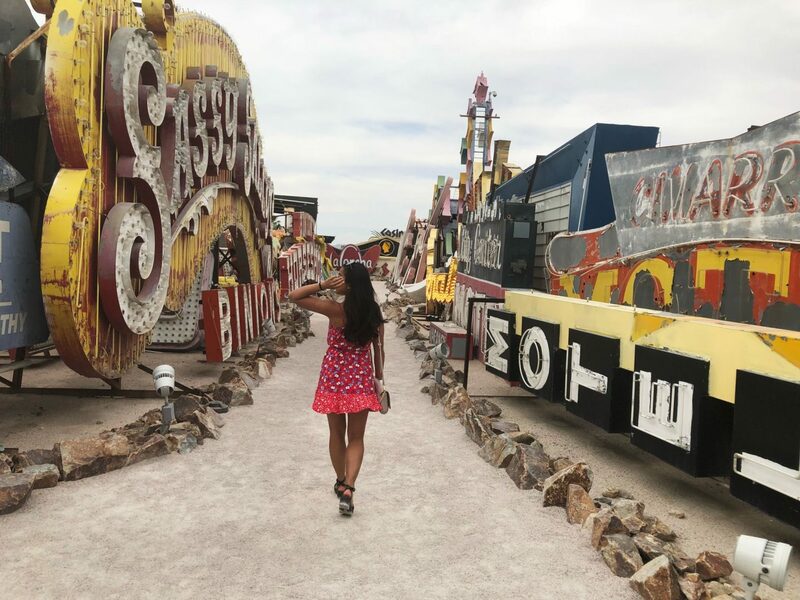 In the Neon Boneyard, the signs are placed at ground level so you can get up fairly close to them – but it’s recommended you stay behind the rock barrier and not touch the signs. While you won’t find a majority of the signs lit up, you will find 11 of the signs restored. 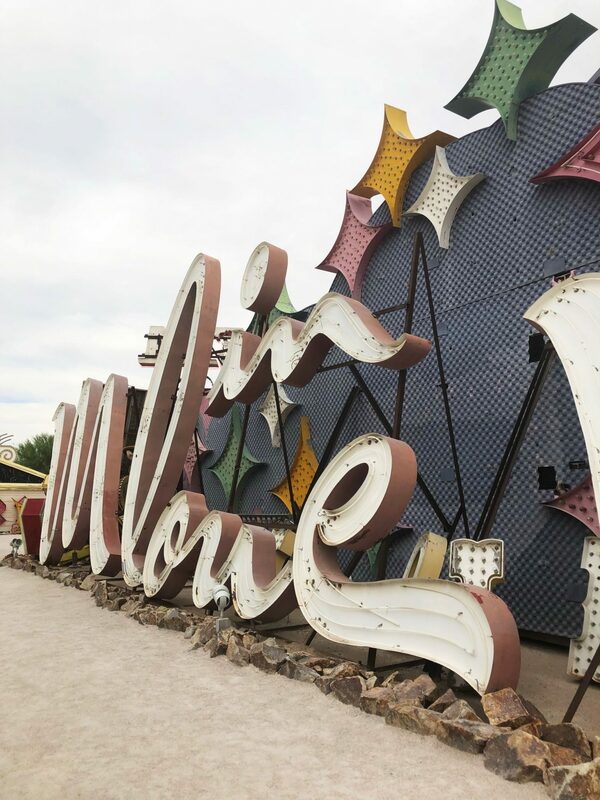 You can find the Neon Museum at: 770 Las Vegas Boulevard North, Las Vegas, NV 89101. You can also take self guided tour or sign up for a guided tour. Tickets: $19 and $15 if you’re a student! 1. The museum space is smaller than you think. Instagram/social media in general has a funny way of distorting the size of spaces. 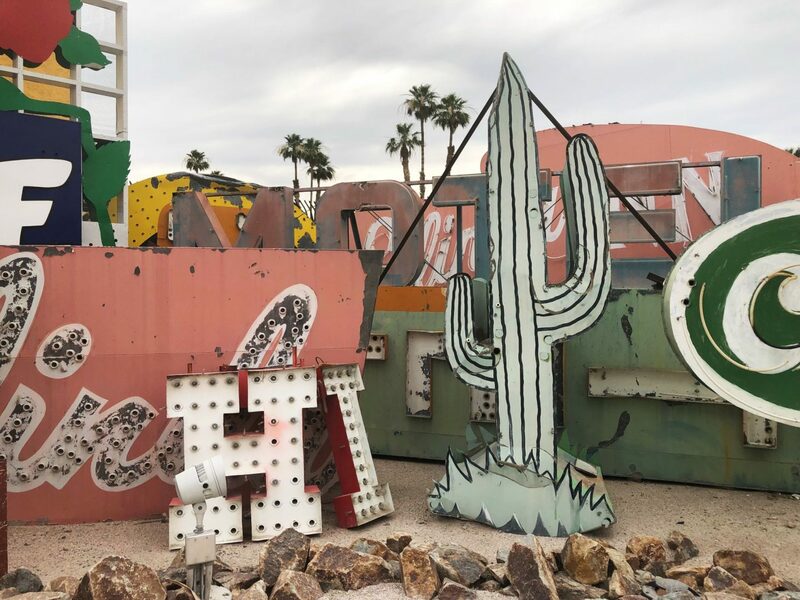 On the Neon Museum Las Vegas’ website, they state that they’re on two acres. However, the Boneyard where most of the signs are on display isn’t actually very big. We rushed to the museum one hour before the general admission closed at 5pm. We thought we were going to rush through to see all the signs. In reality we had plenty of time to loop the walk twice! 2. You can have the place to yourself on a weekday. When we got to the museum to buy general admission tickets, we were shocked to find that we were the only people at the museum. I’m sure this place gets crowded during the weekends. But if you’re looking to avoid the crowds, definitely go on a week day! 3. If you want to learn about the history of the signs and have time, I recommend taking the guided tour. Brandon and I were surprised to see that there weren’t any descriptions in front of any of the signs in the Boneyard. I had previously read from other blogs that you learn about the history of the signs if you sign up for the guided tours. If our flight hadn’t flown out at 7pm, I would have signed us up for a guided tour! I would have loved to learn the history of the signs as we walked around. 4. If you’re on a time crunch, I recommend the self-guided tour. Brandon and I were driving from Zion National Park/St. George, Utah back to Las Vegas to catch out flights. There’s a one hour time difference between Vegas in Utah so we had an extra hour to hang around in Vegas before we had to drop off the rental car. 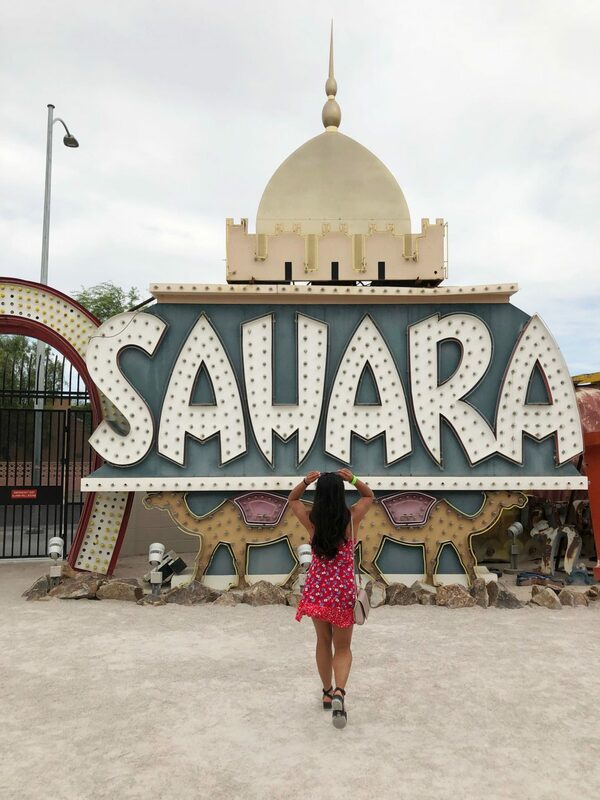 I originally pulled up directions to the nearest outlet malls (our original plan) but saw that the Neon Museum wasn’t too far away! We got there at 4pm and the self-guided tour time ended at 5pm. 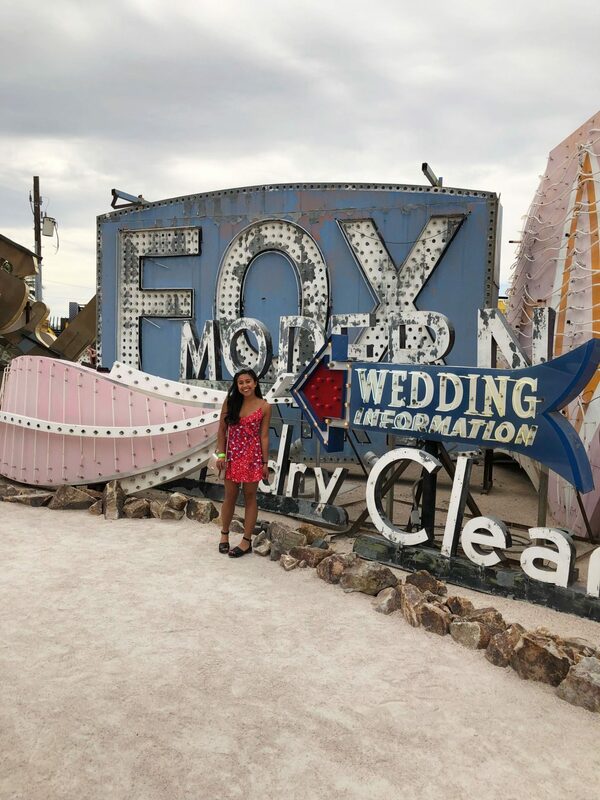 Our one hour at the Neon Museum was definitely worth it! In 1993, Treasure Island Las Vegas opened in the Las Vegas strip by Mirage Resorts. Treasure Island was a pirate themed hotel – with this original massive pirate skull welcoming its guests and visitors. In 2003, the hotel transitioned out of the pirate theme and the famous skull was taken down. In 1958, the Stardust opened on the Las Vegas strip. 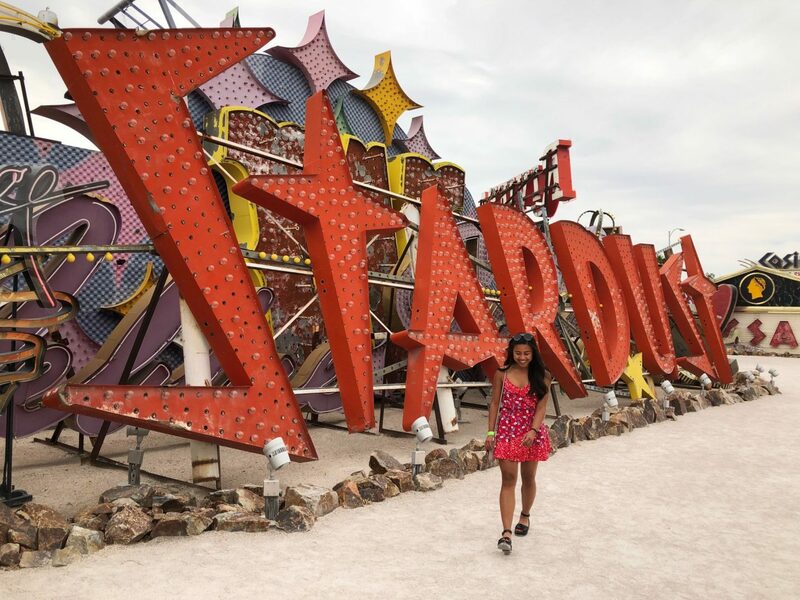 For many years, the Stardust sign was a prominent symbol in Las Vegas. I remember traveling to Las Vegas as a kid with my family and seeing this hotel. Stardust thrived in the 60s and 70s and closed in 2006. In 1951, the Binio’s Gambling Hall and Hotel opened on Fremont Street in Downtown Las Vegas. The original casino had a frontier theme. The Binion’s family ran the casino with Jane Binion, wife of Benny Binion running the books and the two sons, Jack and Ted, watching over the games on the floor. After the recession, Binion’s closed in 2009. There you have it friends! 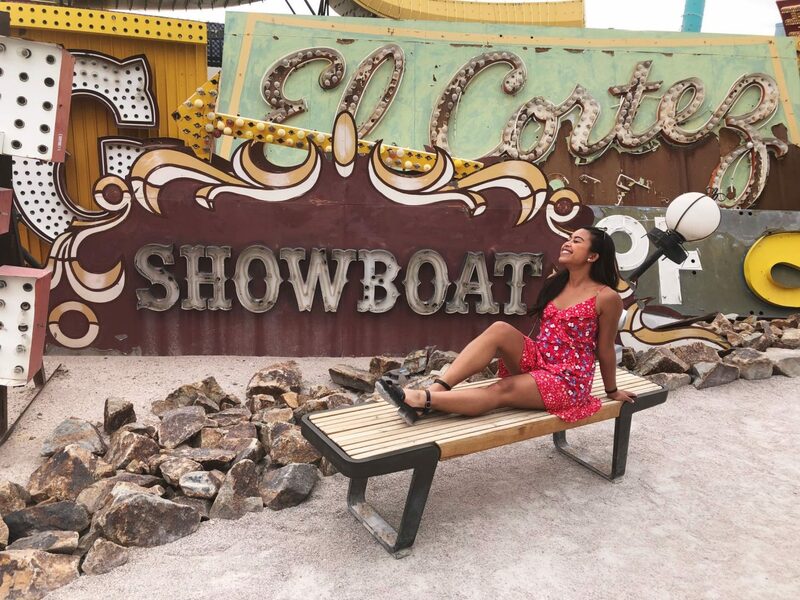 I hope you enjoyed this Behind the Scenes edition of the Neon Museum! If you end up visiting the museum, I’d love to hear about your experience too! Thank you for reading! 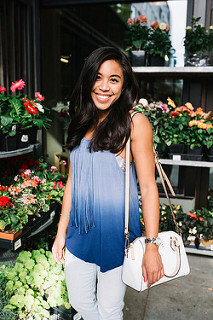 And shout out to my boyfriend Brandon who took all of these photos. He’s the real MVP for putting up with my photo requests on all our vacations lol. 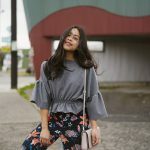 Next Post The Business of Blogging: Is your blog a hobby or business?